August 1942. 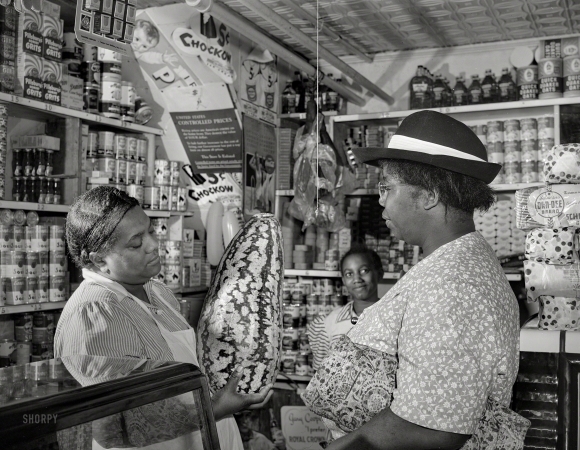 Washington, D.C. "Housewife bargaining in the store owned by Mr. J. Benjamin."